Just in case there was any doubt left in the world that pathological lying sociopath and convicted felon Andy Esquivel is completely insane, here’s a post from one of Andy’s blogs to dispel all doubt. Now there are several obvious problems with Andy’s delusion. First of all, Andy never spoke at CES in 2007. In fact, I doubt he could even afford to go. If he did manage to scrape up enough money to go to Vegas that year and tried to talk to someone about “driverless cars”, he’d have been laughed out of the building. Second, there is no “Xtagged system”. Third, the idea of hailing a taxi by scanning it’s license plate before it arrives is ludicrous and not very well conceived. 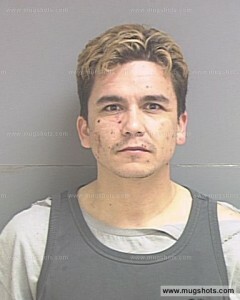 It’s the kind of thing only a drug addict like Andy Esquivel could dream up. Finally, “Lone Ranger” is spelled with an “E” not a “G” as in Andy’s post. The ranger was alone, not long like a pipe. Andy is still clinging to the delusion that his imaginary company is somehow worth “Billions”, which is a fantasy he will likely still be clinging to when he’s shipped off to prison for securities fraud later this summer. The only question is whether Andy will try to impress the jury with his long list of imaginary inventions or whether he’ll go to jail quietly without so much as a whimper.